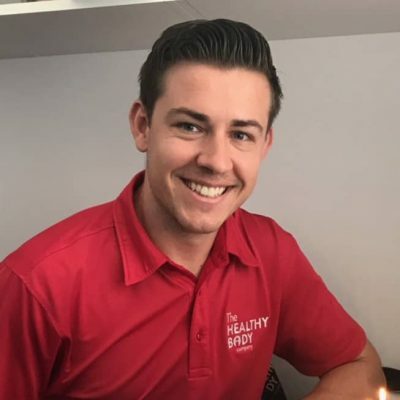 Thomas (Tom) Hamilton, is a graduate of Western Sydney University having been awarded a Bachelor of Health Science (Sport and Exercise Science) with distinction and Master of Physiotherapy. Tom excelled in his studies, earning a highly coveted place on the School of Science and Health Dean’s Merit List for 2012, 2013 and 2015. In 2015 he received the Dean’s Medal for outstanding scholarship. Tom has also received international recognition for his academic achievements with membership to the Golden Key International Honour Society. Tom started his career as qualified personal trainer before transitioning to become a qualified exercise scientist. However, he soon realised his true passion was in helping people prevent and recover from injuries and his true calling as a Physiotherapist. Tom joined the Healthy Body Company team at the end of 2015. In 2016, he won the Penrith City Youth Business Person of the year award. Tom has worked with numerous sporting affiliations including NSW Touch Football Association and the Australian Touch Football Association where he has travelled nationally and internationally with elite teams. Tom grew up playing soccer and continues to play. He has represented Australia in beach soccer! Tom holds several coaching qualifications and relishes the opportunity to pass on his knowledge and experience to younger players. He has a keen interest in all sports and is able to recognize the specific demands unique to each sport. Tom believes that client & therapist teamwork is vital in setting and reaching goals. Tom incorporates both a hands on and exercise based approach to treatment whilst also implementing the best available evidence in his treatments. Tom completes numerous external training courses each year to upskill himself. Tom’s specific areas of interest are sporting and musculoskeletal injuries. Most recently Tom completed the APA Level Two Sports Physiotherapy Course. Away from work, Tom loves to spend his time keeping active outdoors, running, playing soccer, golf and spending time with his family and friends.